Provides password reset/email capability for the Login process. This module is included with the core but not installed by default. To install, go to Admin > Modules > Process > Forgot Password > install. 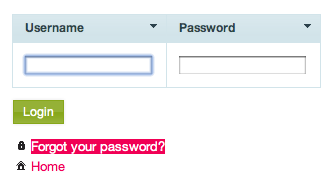 Once installed, you will get a "Forgot Password" link on the admin login screen. Does this mean that I ignore this module on GitHub? What I do with modules usually is list them in my GitHub client, per site, so if I see an update on GitHub I can read it's changes and then have the client download the changes. I assume when a module is "installed with the core" it is not updated in this way but is updated as part of the any /wire/ updates that happen.